The Journey of iB Cricket | Memories and Milestones so far! 2018 has been a spectacular year for us! iB Cricket has been growing by leaps and bounds garnering name and fame across the world. Amid this excitement, we took a moment to relive our journey and reminisce our memories. Please join us on a trip down the memory lane! Since the memorable day in February 2018 when the President of India held our iB Cricket bat and played the first ball, we have been experiencing tremendous wins and amazing responses for iB Cricket. 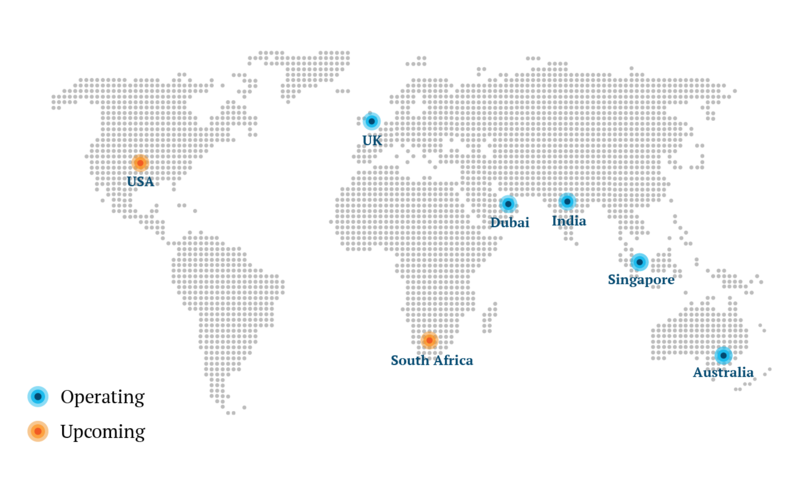 We have already established a strong foothold in 5 countries and are swiftly scaling across the world. More than 15,000 people from 30+ countries including non-cricket playing nations have played and loved iB Cricket. More than 95% of them said the vSport is extraordinary. There’s so much more lined up! Amid this excitement, we’ve taken a moment to relive our journey so far, to celebrate our milestones and reminisce our memories. Please join us on a trip down the memory lane and share our excitement for everything that lies ahead. Just in nine months, an idea born out of a passion for cricket and advanced technologies transformed into an amazing vSport ‘iB Cricket’ - the world's most immersive virtual reality cricket. It was all cheers and celebrations when the first citizen of India played the first ball of iB Cricket on 22nd Feb 2018. Soon after the launch, iB Cricket became a buzzword among the netizens and the media. The vSport was featured in major national media houses like The Times of India, Times Now, The Hindu, Gizbot, Inshorts, etc. iB Cricket has made its mark on the digital world as well. The new format of cricket has reached 2.3 crore people in as little as 30 hours. Famous personalities like our very own dashing opener Nawab of Najafgarh Virender Sehwag and a few Indian film actors have also appreciated iB Cricket. Post launch, our teams have travelled all the way from India to Singapore to mark the city-state as our global headquarters. This is where Mr. Sanjiv Aiyar, was awed by iB Cricket and its global potential. Mr. Sanjiv Aiyar is the former MD and CEO of Global Markets & Wholesale at SingTel – a 43.3 Billion USD telecommunication giant. 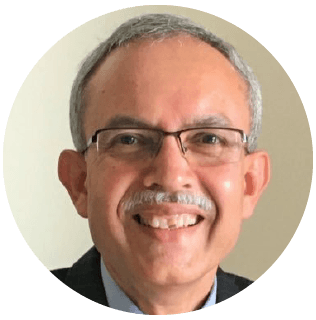 He has joined us as our Group Advisor and Board Member for fuelling and accelerating our global expansion. iB Cricket has already begun to excite and attract players from all across India with its immersiveness and people can’t seem to get enough of iB Cricket. 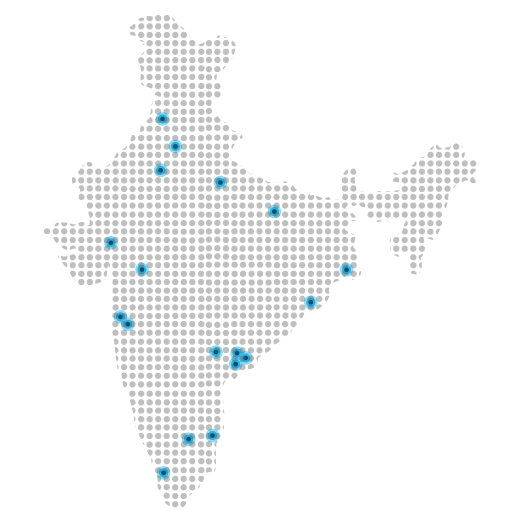 With 20 iB Cricket arcades setup till date and many more on their way, iB Cricket is charging ahead across India. Interested in setting up an iB Cricket arcade? We have amazing business opportunities for you. With the active guidance and support from Mr. Sanjiv Aiyar and our chief mentor, Mr. S Vijaya Kumar, we’ve started expanding our horizons to all corners of the world. With the same momentum from the launch, we have already established our foothold in 4 more countries including Singapore, UK, Australia and UAE. Scaling swiftly across these countries and beyond, we are charging ahead with full vigor. iB Cricket has been growing from strength to strength in Dubai which is rapidly pacing towards becoming one of the world’s leading sports destination. Amazed by the immense possibilities iB Cricket opens up in the vSport industry, Department of Economic Development, Government of Dubai extended its support to iB Cricket as its Strategic Advisor - a very privileged partnership for a startup in its early years. We are forming a Gaming Advisory Council for iB Cricket with prominent cricketers from all ICC full-member nations! The legendary ex-cricketer who’s also famously known as the first little master, Mr. Sunil Gavaskar, was extremely delighted after experiencing the action-packed iB Cricket. Mr. Gavaskar joined the Gaming Advisory Council of iB Cricket. Amazed by iB Cricket, Mr. Harsha Bhogle, the voice of Indian cricket has also joined our Gaming Advisory Council. His passion for the sport, along with his zeal for the nation's progress resonated with our team and we had euphoric moments interacting with the iconic commentator. Many more joining the board. We’ll announce the icons soon! The new format of cricket caught the attention of cricketing stars across the world! iB Cricket bowled over adept cricketers like former New Zealand skipper Stephen Fleming, former South African pacer Morne Morkel, Afghan mystery spinner Mujeeb, Caribbean stylish star Sunil Narine and many more. Absolutely loved playing iB Cricket. It’s amazing and very close to reality. I’m thrilled to walk into a stadium and hit a boundary after 8 years! Growing out of India and spreading across the world, iB Cricket has also met and impressed the hard-core gaming and developer community in its journey! iB Cricket was exhibited at PAX Australia 2018 along with HTC. PAX is Australia's biggest gaming festival, and is a series of renowned gaming conventions in the world. The expo attracted huge attention and the attendees queued and waited for almost an hour to play this world’s most immersive VR cricket. This vSport stood out as one of the most happening places at PAX. It was very exciting. I felt like a real cricketer! Compared to the other VR games I tried, iB Cricket is easy on the eyes and very comfortable. - said an avid gaming enthusiast at PAX. iB Cricket was also a part of GITEX Dubai, the biggest technology show in the MENA and South Asia regions that showcases over 4,000 innovations and technology exhibits. The vSport captivated many eminent guests including the crown prince of Dubai, His Highness Sheikh Hamdan bin Mohammed bin Rashid Al Maktoum. The ICC team and Cricket boards of numerous countries like New Zealand, England, Australia, Zimbabwe and Pakistan have experienced and were amazed by iB Cricket at GITEX. iB Cricket preview was set up at the ICC Academy located at the heart of Dubai Sports City. The atmosphere buzzed with excitement as everyone had amazing time celebrating Cricket with the world’s most immersive VR cricket. iB Cricket was a principal sponsor for one of the most energetic and enthusiastic teams, ‘Bengal Tigers’ of UAE T10 League Season 2.
International cricketing stars from the Bengal Tigers experienced iB Cricket and were enthralled to play cricket in a whole new cricketing world. The fun didn't stop here. Bengal Tigers went overboard and challenged among themselves in an exciting #iBCricketSuperOverChallenge. iB Cricket was invited to ICC Americas Board Meeting - a formal gathering of 16 cricketing boards from the South and North American continents and the Caribbean islands that happened at Antigua in Nov 2018. All the boards have played, enjoyed and praised iB Cricket for its features and captivating gameplay. iB Cricket has been receiving incredible responses from eminent people and organizations from all across the world. With no bars on age, gender or cricketing background, everyone from kids to golden-agers, and novices to cricket players could adapt to the game within just 5-10 minutes. This is one of the games in which I didn't feel any dizziness. It is very immersive and intuitive to understand and play. The excitement was in the air at every iB Cricket demo we have conducted. 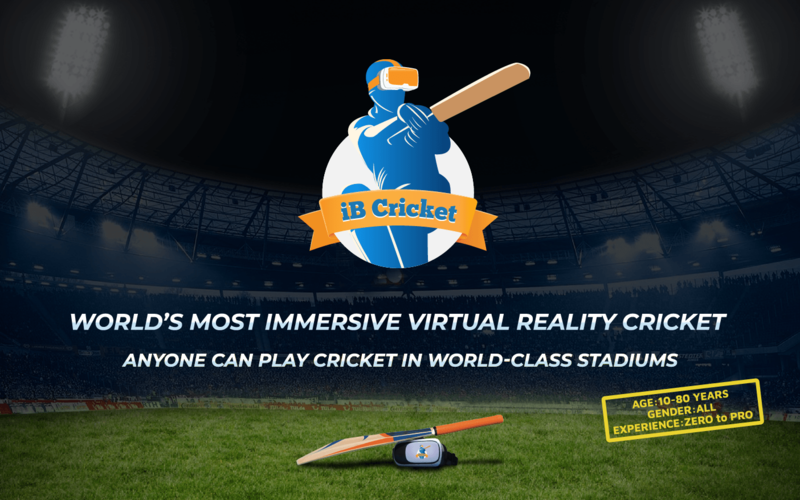 Numerous corporate companies across the world have invited iB Cricket for presenting this out-of-the-world virtual reality experience to their teams. iB Cricket demos were organised at HP, Xpress Money, Agrocorp, Mediacorp, Infineon, Saggezza Inc., CA Technologies, etc. Also, iB Cricket has amassed huge craze and love from the youth. We were invited to many educational institutions including S P Jain School of Global Management, NIT Warangal, NIT Trichy, PSG Coimbatore and many more. We’re elated to see the gleeful faces of people after playing cricket in world-class stadiums. It’s a dream come true indeed! It has been a wonderful journey so far, with many exciting happenings and highlights. But this isn't it. A great surprise bigger than your biggest imaginations is getting ready in 2019!